NEW SOLIDARY BOTTLE. Available from October the 8th . NEW SOLIDARY BOTTLE. Available from October the 8th . NEW GO GREEN SOLIDARY BOTTLE. GO GREEN IS AN ATTITUDE Be part of it! Detox the Oceans, Detox your Legacy” is the new Go Green campaign aiming to reduce the amount of plastic pollution in the ocean. 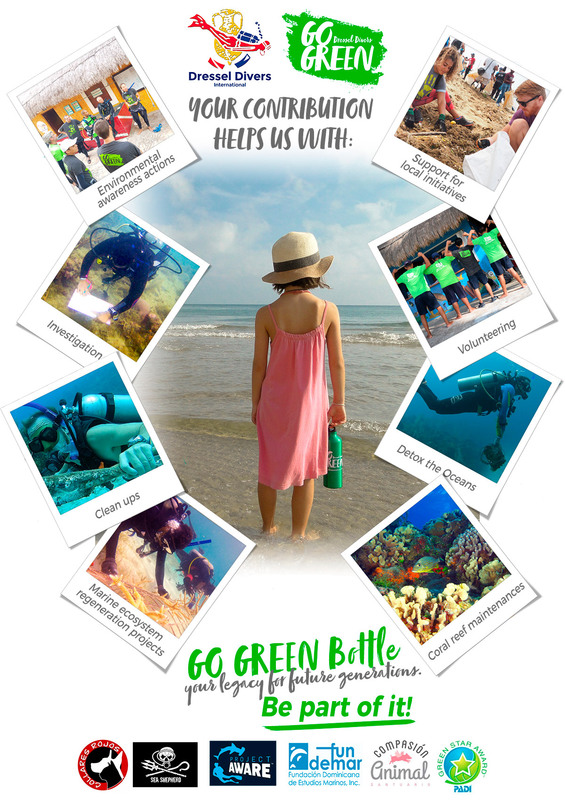 Go Green introduces a new reusable, durable and solidary bottle! The benefits are destined towards raising awareness on environmental challenges and towards protecting the environment. 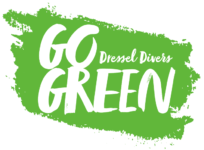 Dressel Divers gets rid of single-use plastics in its dive centers. Support us by bringing your own bottle and we will refill it as many times as you want! 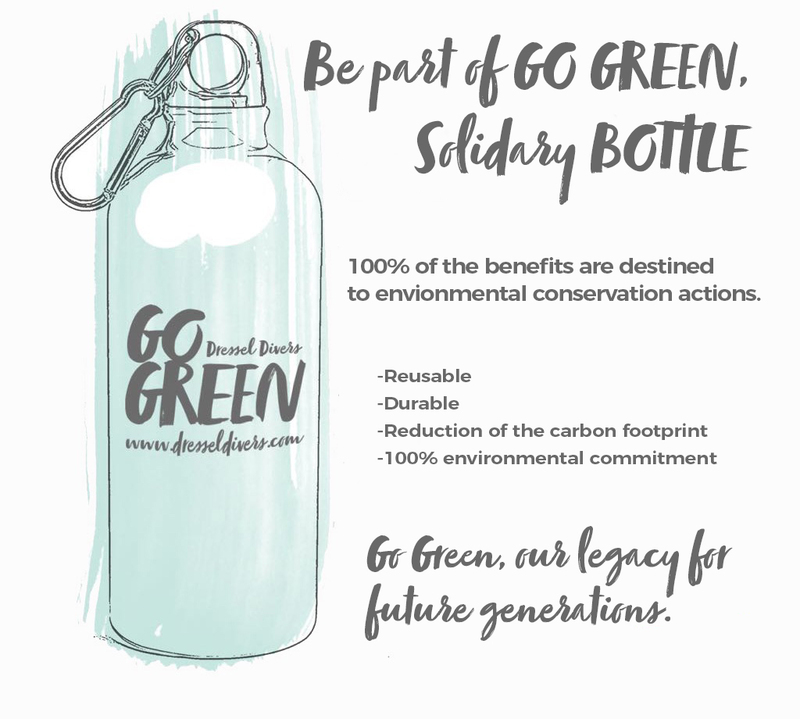 Or maybe you’d rather prefer to get the new Go GREEN solidary bottle for only 10 USD. It will be a lovely souvenir of your time with us, and your environmental commitment. Get rid of single-use plastic! Follow up GO Green news and see all the initiatives we can do together. Be part of Go Green, your Legacy for future generations!